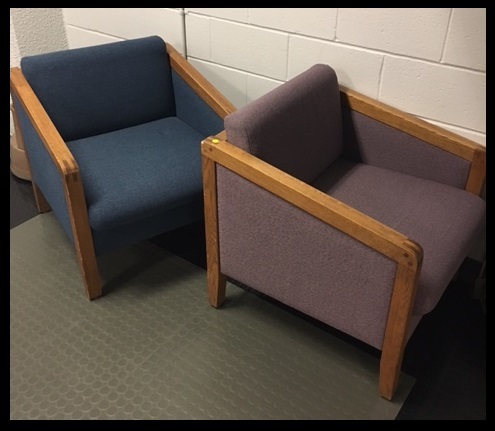 Blue, maroon and mauve library arm chairs for sale. Sixteen available in good condition. Eight dollars each! First come, first served.Pick-ups are by appointment only. Follow link below to easily purchase via ICC Surplus Store. Visit the link to the ICC Surplus Store to purchase.